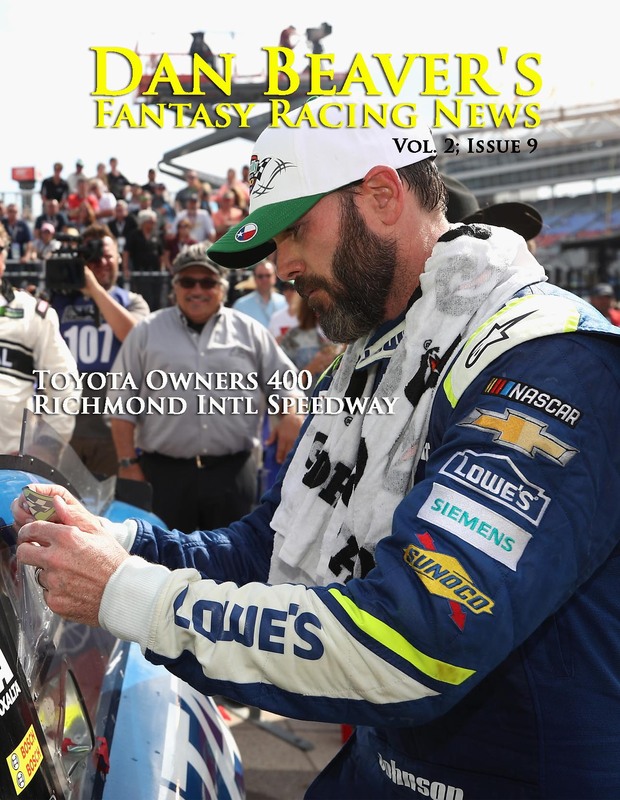 Richmond is a track that caters to a wide variety of skills. Its three-quarter-mile distance and sweeping front stretch makes it behave both as a short track and an unrestricted, intermediate speedway. 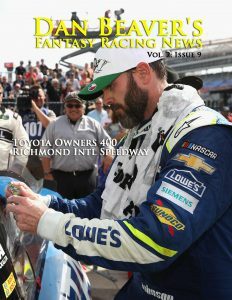 The result of that is drivers who perform well on both disciplines tend to excel at Richmond. 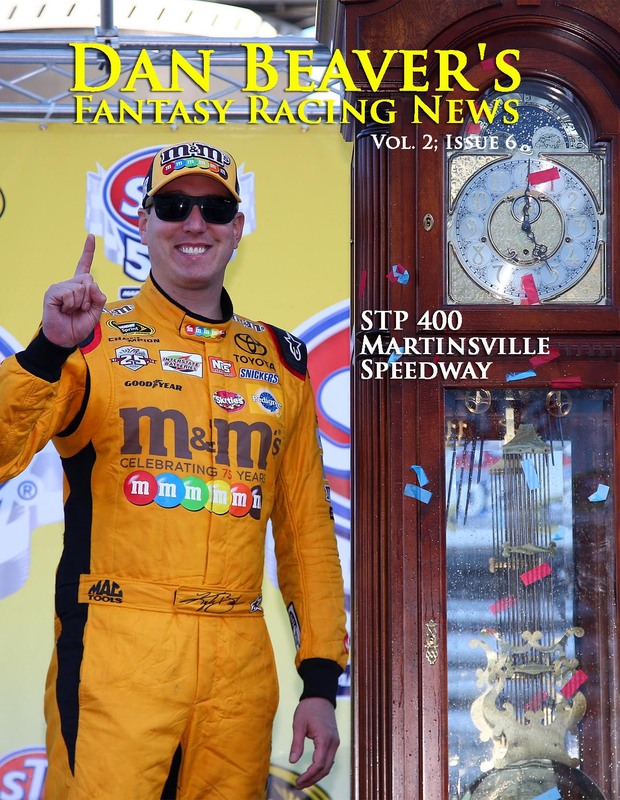 Fantasy owners can look to the two-mile tracks and the short courses. A few weeks back, Kyle Larson’s completed his dominant start to the season with a victory at Auto Club Speedway. 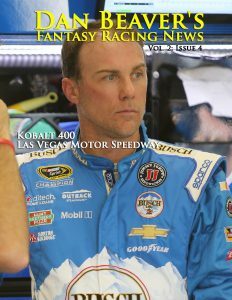 It virtually locked him into the playoffs and established him as one of the early frontrunners as a place-and-hold favorite on most tracks. 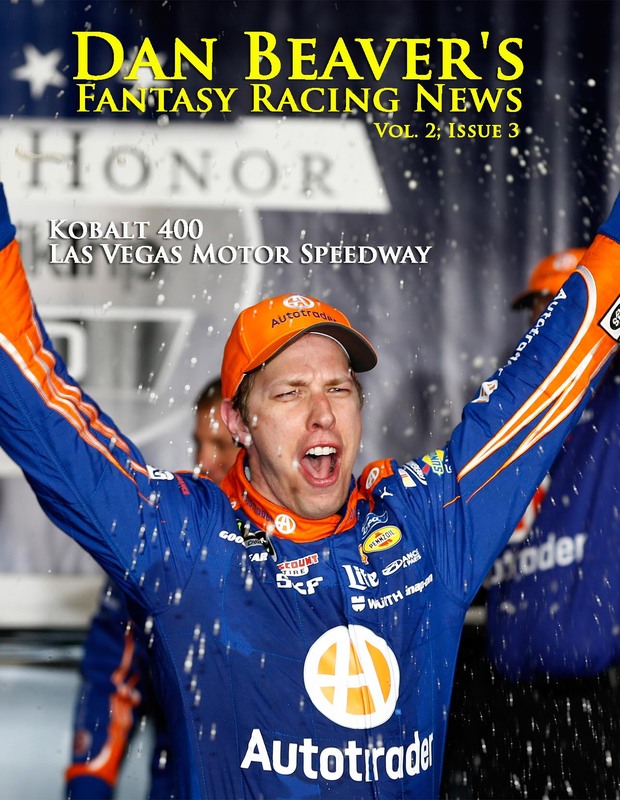 Brad Keselowski and Jimmie Johnson won the first two short track races of the season and that also put them on the radar screen for fantasy players looking to that track type as the primary source for handicapping. But there is also some significant overlap between the two types and that is where some of the best drivers will come from this week. Joey Logano swept the top five at Auto Club Speedway, Martinsville Speedway, and Bristol Motor Speedway. Clint Bowyer has a worst finish of seventh on those three courses, while Chase Elliott has top-10s in all. 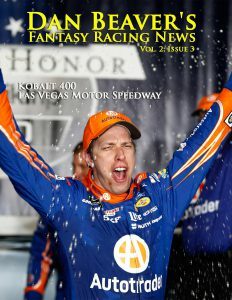 If not for mechanical problems last week, Keselowski would certainly have added his name to the mix. 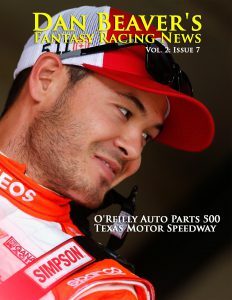 It is almost as if NASCAR can’t quite figure out what to do with Texas Motor Speedway. And that’s all right. The state of Texas has always been iconoclastic, so the race might as well be also. Depending on where one lives in its confines, Texas either considers itself a Western state or part of the South. Dallas is has a more Southern feel, while Fort Worth with its heritage as a cattle hub is more Western. The O’Reilly Auto Parts 500 could easily be part of the Western Swing, but it’s not. 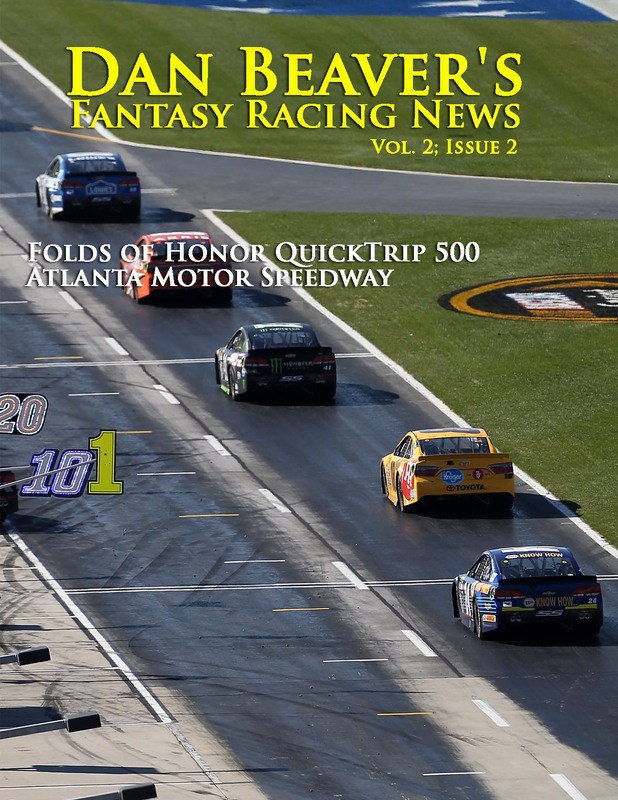 Instead, it currently interrupts what would be a three-race, short track schedule. So, the Texas race stands alone just as many inhabitants the want state itself to. Each track is different than the other, but perhaps the best way to think of them is as siblings. Sharing many of the same life experiences, they develop their own personalities, but there is always a certain commonality. Putting aside the impact that has on fans, the proliferation of this type of track is not a bad thing for fantasy players. One can look back at the most recent “cookie-cutter” race and use that as a baseline to set this week’s roster. 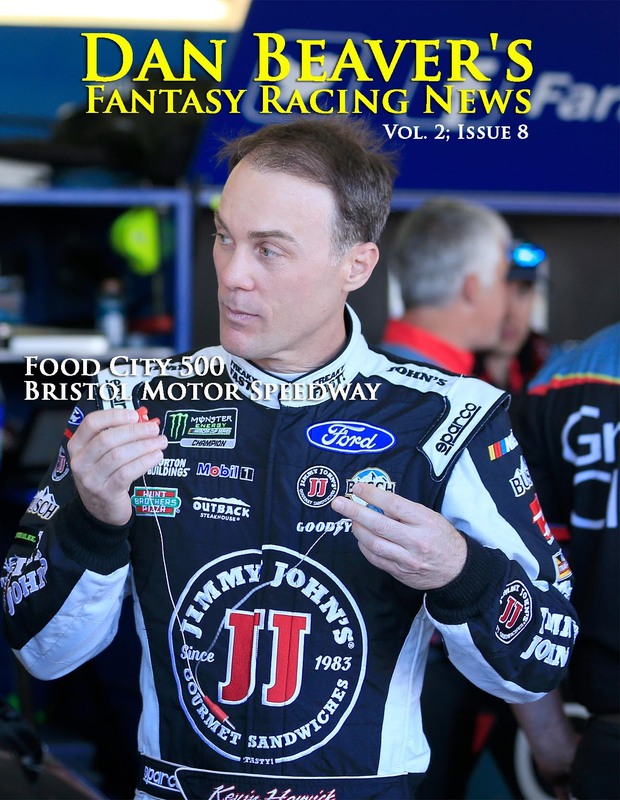 In the first two races on similarly-configured, 1.5-mile tracks this year, three drivers swept the top five, four more finished between sixth and 10th, and another three swept the top 15. Short, flat tracks are rhythm courses. Going fast on one of these courses is counterintuitive. Most drivers like to carry as much speed as they can into the entry and then deal with the consequences in the center of the turn. To go fast on a short, flat track, drivers have to back the corner up and brake much earlier than feels natural. That cadence does not begin overnight and it is not automatic. It takes years of experience to develop that kind of discipline, but once a driver finds the right balance, it becomes part of their long term memory. Flat tracks in general and short ovals of one-mile or less in length in particular are prone to streaks. 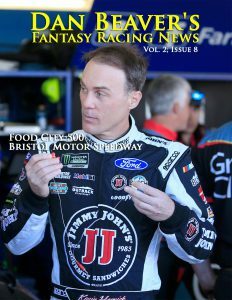 This week’s top-10 will be dominated by drivers like Kevin Harvick, who has the longest active streak at Phoenix and Kyle Busch, who has been the best on the combined short, flat tracks. With little banking to lean on through the corners, finesse comes into play. That makes Phoenix, New Hampshire Motor Speedway, Martinsville Speedway, and Richmond International Raceway into drivers’ tracks. Horsepower is important there as it is on all tracks, but it is a smaller percentage of the equation. Driver skill makes up the difference and there will be some interesting dark horses in the teens. 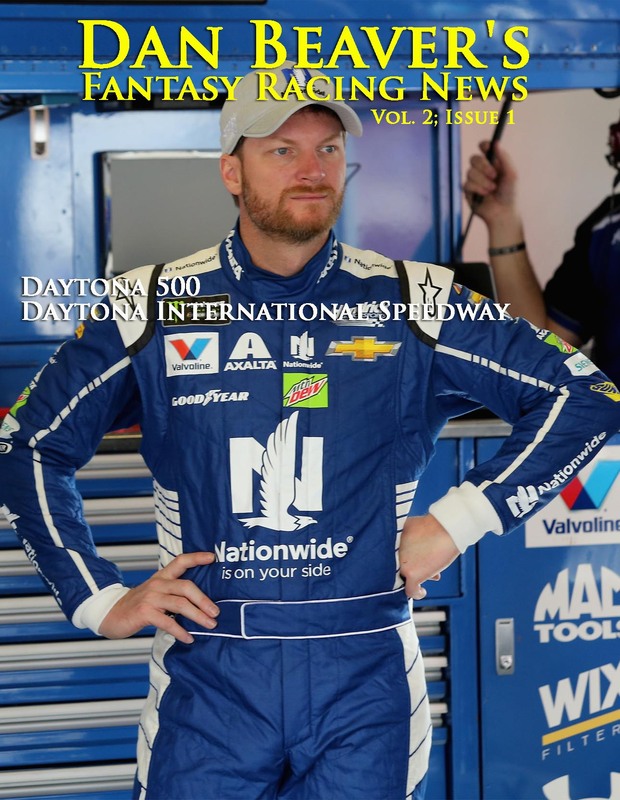 The Daytona 500 was brutal for most fantasy players. Now the series rolls onto a similarly-configured, 1.5-mile track. 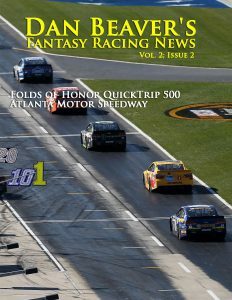 This course type has long been among the most predictable in the sport because 10 races are run at Atlanta Motor Speedway, Charlotte Motor Speedway, Texas Motor Speedway, Las Vegas Motor Speedway, Kansas Speedway, Chicagoland Speedway, and Kentucky Speedway. Three more are run at Michigan International Speedway and Auto Club Speedway. 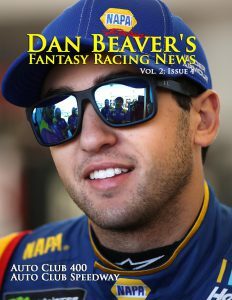 Several of these get bunched up at the start of the season, which has typically allowed drivers to develop some momentum. But, the segmentation comes into play again. Teams have to decide if they are going to forego the short term gains of up to 10 championship points at the end of each stage for the big picture of winning the race. Any driver who is not in contact with the top 10 near the end of the segment might chose to pit early if they think they can stay on the lead lap.